Fotor was recognized by the Web Marketing Association (WMA) with the 2017 Webaward for Outstanding Achievement in Web Development. The award honors Fotor for 2017 Photography Standard of Excellence. 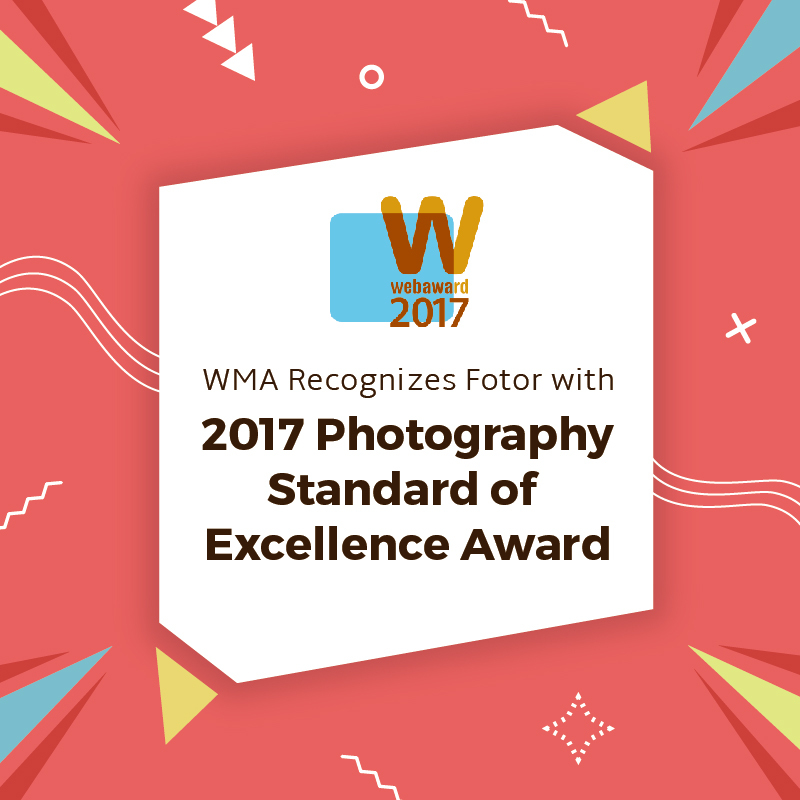 Fotor wins 2017 WMA Webawards Photography Standard of Excellence website! The WMA has been recognizing websites and digital companies since 1997. It is the producer of the WebAward Competition. Now in its 17th year, the WebAward program is the longest running annual website award competition dedicated to naming the best Web sites in 96 industries while setting the standard of excellence for all website development. Websites are judged by independent expert judges from around the world. Best photography websites are judged based on design, ease of use, copywriting, interactivity, use of technology, innovation and content. Fotor provides users with a one-stop-shop for all things photography, design and editing. The online software, which is also available as a mobile app, helps users create beautiful photos and designs. With over 200 million users on the platform, the software is always growing and improving. The new HTML5 features new features and content and has faster speed and better performance. Since it’s launch in 2012, Fotor’s aim has been to capture the photography and graphic design market and present them with a system that is streamlined and professional, but an easy-to-use alternative to expensive and complex programs. In only five years since its inception, Fotor has grown rapidly to provide users with consistent, fresh updates with even more new developments coming soon. Soon, Fotor will offer its own database of stock photos and will eventually delve into the world of user-generated content. Users will be able to design templates that can be shared, used and modified by one another to create global collaborations. Join the millions who have already discovered the benefits of designing with Fotor. Try the features for free or upgrade to Fotor Pro for advanced capabilities.